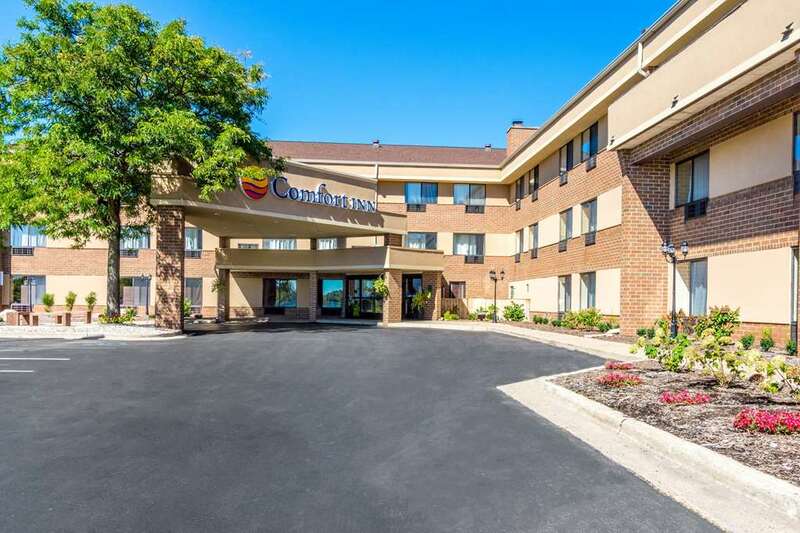 The Comfort Inn Airport hotel in Grand Rapids, MI will get you rested and ready for anything. Located just minutes from the Gerald R. Ford International Airport, We are happy to offer free shuttle service. At our smoke-free hotel, you also will enjoy services and amenities like free WiFi, free hot breakfast, an exercise room, a business center and laundry facilities. Each guest room is furnished with a flat-screen TV, hair dryer, coffee maker, microwave and refrigerator. Also, earn rewards including free nights and gift cards with our Choice Privileges Rewards program. Pet accommodation: 15.00 USD fee per day for each pet, 2 pets maximum per room. Please note: Pets cannot be left unattended at any time. Free guest parking for the duration of guest stay. Long term parking is only available with purchase of Stay and Fly package. The Stay and Fly package is based on availability and must be booked by calling the hotel directly. Van Andel Public Museum Ctr.